Sign-up using the form or call us at 801-486-9201 to take advantage of this exclusive offer. For more information or to schedule an appointment with your Salt Lake City chiropractor, call 801-486-9201 today! "Since 1978, our focus has been excellence in chiropractic care. We take pride oserve with passion, we educate our practice members about chiropractic and a healthy lifestyle, . It is about learning, understanding and taking care of your body to improve your quality of life." At your first visit to Holladay Chiropractic, Dr. Erik Van Slooten will explain the science behind how chiropractic care works, and give you a full evaluation to see if chiropractic care is right for you. If there is a good fit, we can develop a plan of chiropractic care that is specific to your condition and health goals. If you are new to seeing a chiropractor and want to find out more, please email us or call 801-486-9201 to receive personalized answers to your questions from our friendly team. We also welcome referrals, so we invite you to share our chiropractic and wellness information with your friends and loved ones. 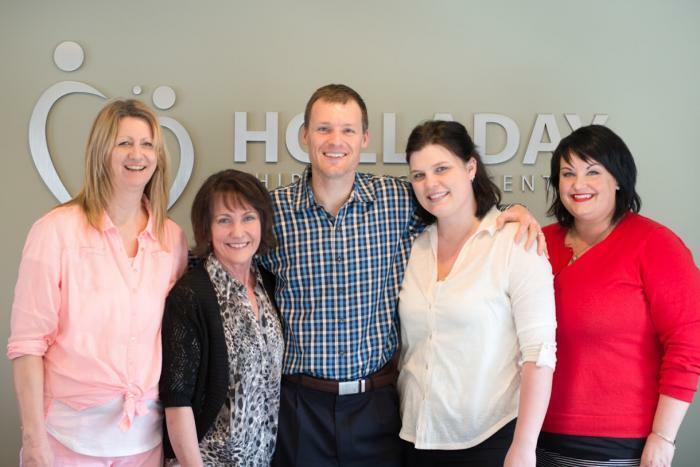 "Dr. Erik with Holladay Chiropractic Center is one of the most gentle and caring chiropractors I have experienced. You are set at ease from the moment you walk into his center. He and his staff are very professional, knowledgeable and patient!" "Erik is a great chiropractor. He made extra time to get me in when I threw out my back right before a big vacation. Without his help that trip would have been extremely painful." "This place has such a positive and relaxing vibe. The care is 5 star. Thanks for helping me get back to normal." "I was in so much pain before I came here that I couldn't work a full day. Thanks to the care I've received at Holladay Chiropractic, I lead a pain-free life and continue to work in to my elderly years with improved function. With chiropractic, I enjoy an optimal state of health."